Sweet Sewn Stitches: The BIG 100 Giveaway! And in honor of the amazing support I have received from my lovely followers, I am hosting a giveaway! One of my never ending obsessions is with cosmetics. So I want to pass along the addiction with a Sephora gift card. My latest is the need for amazing mascara. I currently am in LOVE with Benefit They're Real mascara! Next on the list to try is Buxom Lash Mascara. ONE lucky reader will have the chance to win a $50 gift card to Sephora! 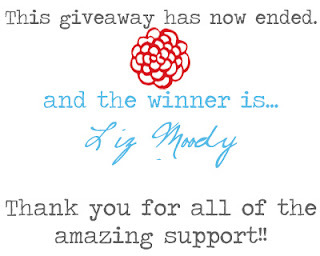 Please include your email or blog address so I have a way to contact you if you win! Giveaway is open to U.S. and Canada residents only. Giveaway is open from Saturday, August 20th through Sunday, August 28th at 11:59 pm eastern time. The winner will be announced on Monday, August 29th here on Sweet Sewn Stitches. Winner will have 48 hours to respond before a new winner is drawn. Just a Note: I am in no way affiliated with Sephora. Sephora has no clue who I am. This is a fun giveaway from ME to YOU! 1} Leave a comment telling me your favorite makeup trick! 2} Become a follower of Sweet Sewn Stitches blog. 3} Become a fan of Sweet Sewn Stitches on Facebook. 5} Blog or tweet about this giveaway and include a link in your entry comment. Thank you to everyone for all of your support! I love the eye liner by tarte. It lasts forever. But I just spent my yearly budget for makeup on Tarte and I could still use some mascara so it would be awesome to win this! My favorite makeup trick is using my kabuki brush to blend, blend, blend! I sometimes put deodorant on my finger and dab under my eyes and t-zone to help create a matte look. Let's see, I love the oil absorbing sheets. But, a trick is that the toilet covers in restrooms are made of the same type of paper. So, you can use one of those to absorb extra oil and give yourself the matte look. My favorite casual lipstick is the Mango Butter lipstick from Korres. It's not super long lasting, but it feels oh so very smooth and wonderful to put on. The colors are mostly sheer, so they are great for day wear. I follow your blog! I think I did that right..
And I am a Facebook fan. Hmmm...my fave make up tip is to take some light eyeshadow with a slight shimmer and dab a streak right below your eyebrow and in the corner of your eye (by your nose). This really helps to make you look more awake and well rested! My makeup trick is I love high beam by benefits on top of my cheek bones...it's a pearly shimmer look! Angel76s@yahoo.com. My makeup tip is that i use white eyeshadow on the inner corners of my eyes and on my brow bone to highlight...even if I where no other eyeshadow this still brightens my eyes. subscribed to the feed and following your blog! my favorite make up trick is to use concealer as an eye primer because i don't own a primer at the moment. I don't really use alot of makeup so I don't have any tricks that people don't know. Just to always clean your face of makeup before bed. Congratulation on your milestone! What a generous giveaway and I love Sephora too! My favorite makeup trick is use a dark brown shade eye shadow and an eyebrow brush to fill my eyebrows. It trick will yield softer and more natural looking eyebrows than using pencil ones. I just found your blog from This chick cook's linky party...and I'm your newest follower. So glad I've found your site! Just became your fan on Facebook as well. I wet my eyeshadow brush and use the eyeshadow powder as eyeliner. my makeup "trick" is Tea Tree Oil Blotting papers from The Body Shop (which ironically, can also be picked up at Sephora! ;)). They absorb the oil as well as treat my blemishes for a quick bit of damage control during a long day. That and a dab of fresh mascara can make a big difference. I carry both in my purse at all times! My makeup tip would be the importance of lip liner. Just a neutral-lined lip looks so much more polished/finished with either lipstick or for me gloss. The difference of my face with/without is night and day. I follow Sweet Sewn Stitches! to soften up my eyeliner and make it easy to glide on i turn on my blow dryer and put the eyeliner in front of it for a few seconds. it softens it up for a few minutes, enough time to apply perfectly! I follow you via gfc as Dee. My favorite make-up trick are just use q-tips for smudges. It's quick and easy, cleanup. I love the lighter coverage of tinted moisturizer, but can never get the right shade. I mix a dab of foundation, a dab of facial moisturizer, and a dab of MK illuminator (way too shimmery on its own IMHO). This creates THE perfect coverage, color, and glow! My trick is that when I put on mascara, I leave my mouth open and that allows me to get closer to the last line...somehow that works!! My favorite tip is using bronzer to give a nice bit of color! I'm all ready a follower on FB! Posted and tagged on FB about the giveaway! I don't know if it qualifies as a tip, but I always apply lotion shortly before foundation--otherwise, flaky dry skin magically appears as soon as I start to put on makeup! I shared on Facebook and tagged you! My favorite mascara is still La come's Definicils, but a close second is Lash Stiletto by Maybelline. It's very much like Definicils at a fraction of the price! My favorite makeup trip is to always put on lip balm before any other lip product. It helps keep my lips soft when lipsticks or lip liners can dry them out. Congraultations on the big milestone! I'm following on FB too! I think I did it right. Still not very FB savvy. LOL! I'm a new fan on FB! My favorite makeup trick isn't really a trick but a product - hourglass primer is the best!!!! My favorite makeup trick is Mary Kay eye makeup remover!!! It is by far my favorite thing! I am so excited to share with you! Explore recipes, projects, creativity, and best of all - connect with what makes you dynamic. Thanks for stopping by and reach out if I can help in any way! © 2011 Sweet Sewn Stitches . Powered by Blogger.